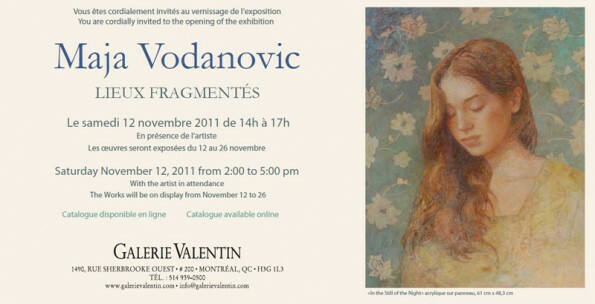 You are cordially invited to the opening of the exhibition Lieux fragmentés by Maja Vodanovic. Saturday November 12, 2011 from 2:00 to 5:00 pm, with the artist in attendance. The Works will be on display from November 12 to 26.